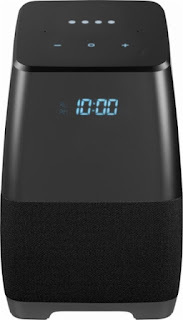 So today you can snag this Insignia™ - Voice™ Smart Portable Bluetooth Speaker and Alarm Clock with Google Assistant for ONLY $34.99 (Retail $149.99). Answer all your questions and share your playlist with this Insignia portable wireless speaker. Featuring Google Assistant, this compact speaker lets you search the internet or set your schedule with just the sound of your voice. Bluetooth compatibility on this Insignia portable wireless speaker allows sharing and casting to multiple devices, including phones, tablets and even other speakers.